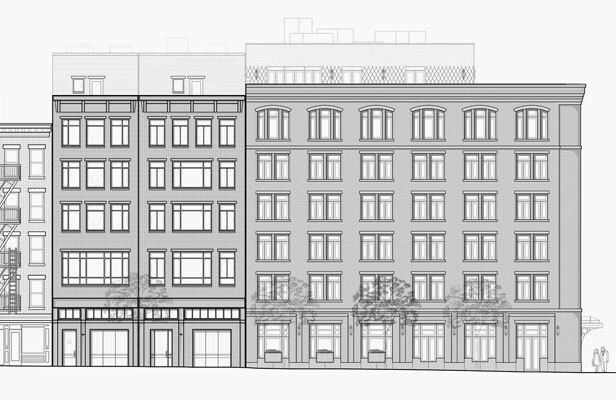 Madison Equities identified an L-shaped corner lot on Perry Street and Washington Street as the site to build a new boutique hotel and two adjacent townhouses. 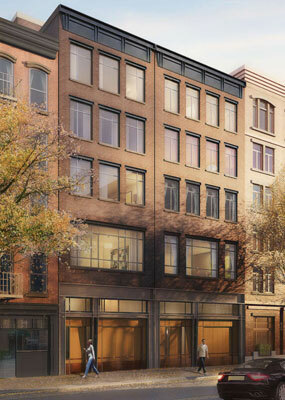 The site lay in the Far West Village Historic District thus requiring all designs to meet the stringent requirements of the NYC Landmarks Preservation Commission. Helpern was asked to analyze zoning options, including height and massing parameters. From there the firm developed the design for the new buildings, which was heavily influenced by the formerly industrial vernacular of the neighborhood. 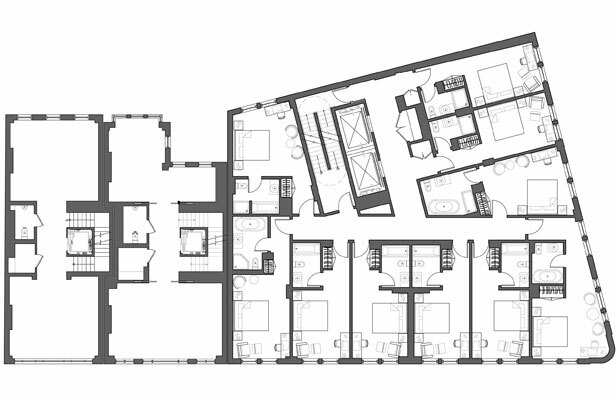 The six-story, 58-key hotel would also offer a lounge and a rear garden. Its facade featured brick detailing, mahogany windows and a signature curved corner. To make the townhouses visually distinct from the hotel, Helpern chose a paler brick facade and a steel encased storefront-style street entrance that included access to off-street parking. 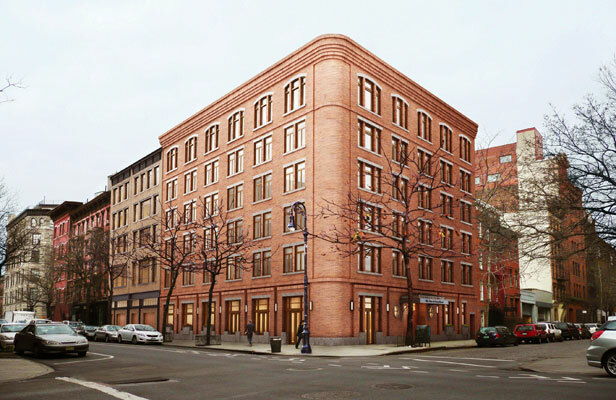 Helpern’s historically sensitive designs were approved by the Landmarks Commission and the project was developed through construction documents before the project was halted due to lack of financing.